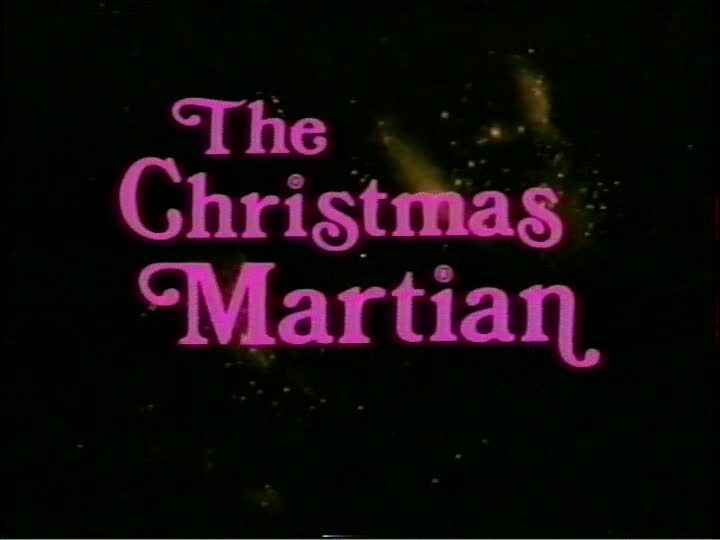 (AKA The Christmas Martian) 1971, Starring Paul Berval, Roland Chenail, Franois Gosselin, Ernest Guimond, Paul Hbert. Directed by Bernard Gosselin. It's common knowledge that Santa Claus conquered the Martians at least if by "conquered" we mean "awarded an interstellar franchise to the goofiest candidate available" but that wasn't North America's only yuletide contact with extra-terrestrials. Only a half dozen or so Christmases later, a bubble-spouting Martian crash landed in Quebec to learn about a variety of fun winter activities, and to shower children with candy. Space candy. 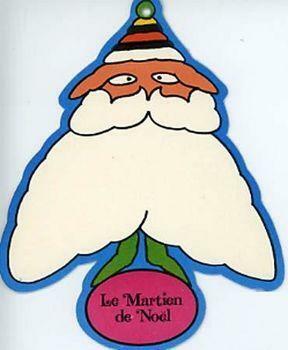 Although the National Film Board of Canada and the CBC had been churning out shorts and programming aimed at kids for some time, Le Martien de Noël was the first independently made feature-length Canadian kid's film. At a time when "Montreal filmmaking" was becoming synonymous with "adult filmmaking," Quebec director Bernard Gosselin and writer Roch Carrier chose a different path--they began work on this holiday film the whole family could enjoy. Unfortunately, neither Gosselin or Carrier were experienced filmmakers, and the duo ran out of money long before they could bring Le Martien de Noël to the big screen. In the late 1960s, Montreal distributor Rock Demers watched competitors like Cinepix move into production thanks to recently secured financial support from the government. Not to be outdone, Demers decided to toss his hat in the production ring with Le Martien de Noël, putting up the needed completion funds in exchange for the future distribution rights. It was a risky move, since this was the first film of its kind, but it eventually gave birth to an entire industry of feature-length kiddie fare from the north. Jacob Two-Two Meets the Hooded Fang (1972) and Mystery of the Million Dollar Hockey Puck (1975) solidified Quebec as the centre of kid's films just in time for Demers himself to take back the reins in 1980. He started a new company, Les Productions La Fete, and began work on "Tales for All," a series of children's films that now includes such well-known entries as The Peanut Butter Solution (1984) and Tommy Tricker and the Stamp Traveller (1987). 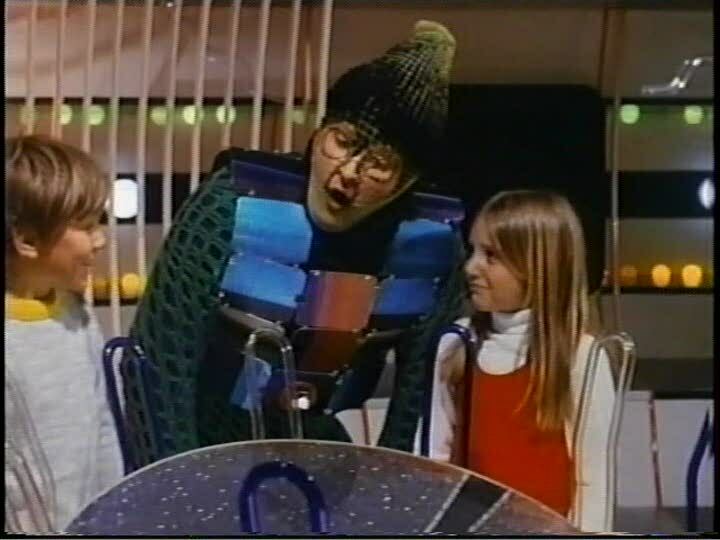 We should be glad that Demers stepped in when he did, because he has preserved easily the most insane example of Canadian children's cinema ever conceived. Nonsensical and embarrassingly low-budget, Le Martien de Noël wildly bounces from wacky action sequences to unrelated tangents, all highlighted by special effects even the most distracted seven year-old could see through. In other words, it's great! When Rock Demers started La Fete, he retained the distribution rights for Le Martien de Noël. Even though this isn't an official "Tale," he tacked on a brand new opening credits sequence that prominently featured La Fete's logo, followed by the cryptic quote "Everybody knows a Martian can disguise itself as anything, even a llama!" While you're scratching your head over that one, our two young heroes Cathy and Frankie (played by the director's son) have already ducked into the general store on a snowy Christmas Eve. Usually, this would be the time for some clever characterization, but before anyone quite knows what's happening, in walks the alien. Plastered in green make-up and stuffed in a scuba diving suit with a multi-coloured vest, the Christmas Martian has been draped with fishnet (not stockings--a real fishnet!) from head to toe. And there are bubbles. He shoots bubbles out of a hole on the top of his head. Everybody knows a Martian can shoot anything out of its head! The Martian is played by improvisational actor Marcel Sabourin, who was well known at the time for his portrayal of Mandibule the Clown on Quebec kid's TV shows Croquignoles and Ribouldingue. In this case, Sabourin's hyperactive, uncoordinated Martian makes his Santa Claus Conquers the Martian counterpart Droppo look like a sober genius. Immediately, the Martian ransacks the store shelves and starts cramming junk food down his throat. As he runs off, the blustery shopkeep calls the cops. To escape, the Martian slips into a phone booth (located conveniently between two suburban houses) and emerges dressed as an old lady. Then he takes out his secret weapon--a wand which allows him to fly--and floats back to the safety of his ship in a shot that could only be meant as a parody of Mary Poppins. Unfazed by their recent close encounter, Cathy and Frankie go out in the woods to cut down a Christmas tree. Instead, they find strange green footprints that lead to the Martian's flying wand. Thanks to more creative shooting and a crane rental, it's Cathy's turn to fly. This incredible illusion is achieved by having Cathy and the camera on a platform at the top of the crane, and shooting down towards the ground with a conspicuous view of Cathy's flailing feet. Other times, the camera is pointed directly at the sun to obscure the cable hoisting our heroes in the sky. You will believe a man wearing a fishing net can fly. A second set of glowing footprints takes them to a luminescent red saucer outfitted with a row of lights around the edge and a smoke machine at the base. They go inside, and meet their host, who only speaks in an alien tongue of bubbly sound effects. He extends his greetings by pointing at a small clear tube that shoots about 40 pounds of Smarties all over them. To clear up the communication problem, he motions for the kids to speak into a microphone device, which he then plugs into a larger machine. A brightly coloured liquid spills out, and when the Martian drinks it, he can suddenly speak their language! After asking the kids to address him as Poo Flower, the worst-named Martian of all time explains that his ship is in need of repairs. Can they help him? Once Cathy and Frankie get a piece of broken UFO engine soldered at a local machine shop, Poo Flower decides to reward them with a supersonic tour of Earth. Remember how the kids flew with the help of a crane? The UFO is no different. No need to try to discern fishing wire in this case--when they take off, it's impossible not to notice the giant black cable clearly pulling the ship off the ground and swinging it back and forth. It's supposed to be the ship's antenna, but let's face it, no kid is that stupid. Realizing that they forgot to stop off for snacks beforehand, Poo Flower magically zaps the turkey from Cathy and Frankie's parent's oven to the ship. 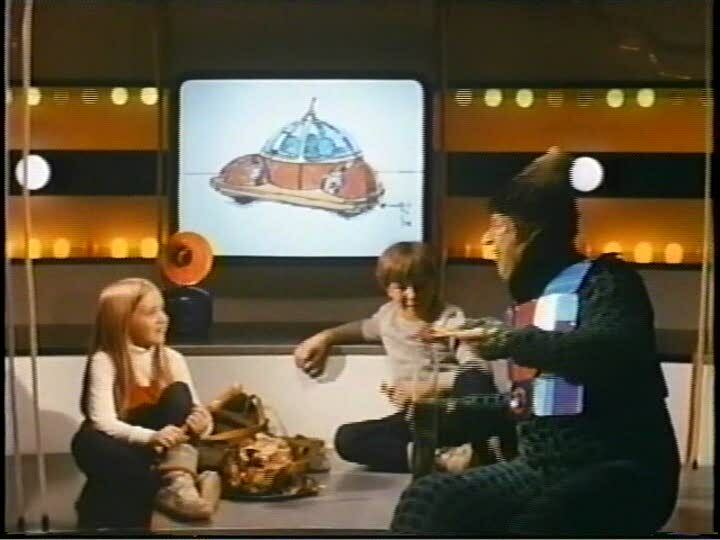 As the brats fight over the wishbone, Poo Flower shows them conceptual drawings of his "far away planet" (which is not Mars, despite the fact that the title of the film identifies him as a Martian). Then they fly over all areas of the Earth, or more precisely, watch some stock footage of animals frolicking in the jungle and the Antarctic on the UFO's projection screen. As night falls, the crane lowers Poo Flower's ship so the kids can say goodbye and rush on home. 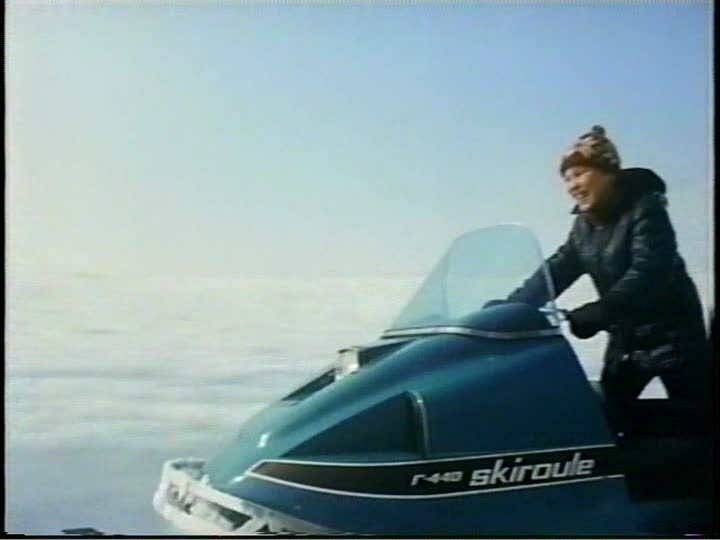 But the adults of the film have spotted the UFO and descend on the landing site in their snowmobiles. A big chase scene follows in which cops and parents trip over themselves trying to collar the bubble-shooting Christmas miracle. Just as he's about to get caught, the scene is suddenly intercut with a nature magazine photo of a llama pasted against a black background. Say what? You see, everybody knows a Martian can disguise itself as anything, even a llama. Finally, the quote makes sense--concerned that viewers would become perplexed when a stock picture of a llama suddenly appeared on their screen during what appeared to be the film's climax, Demers threw up that little plot point early on so we would understand that Poo Flower actually turned into a llama, and that somehow llamas are more impervious to capture than say, Martians. Wait a minute-- llamas? Bubbles? Flying wands? What does any of this have to do with Christmas? Shouldn't they be rescuing Santa or teaching Poo Flower about Jesus or selflessness or something? They already botched the Martien part of the title, and until the very end, it looked like they screwed everyone out of the de Noël part too. But wait, there's Cathy and Frankie getting gifts from their father dressed up in a Santa Claus costume. Suddenly, who should appear at the door but their old friend Poo, also in a bright red suit. Well, just as Ralphie finally got his gun, these kids are ecstatic when Poo Flower hands them... a two foot wide replica of the red UFO?! Wow, this movie is cheap--it has to give out it's own props as gifts! Okay, I was pretty disappointed with the lack of Christmas content here, but as previously mentioned, Le Martien de Noël tries to make up for it by having Cathy and Frankie participate in as much snowy fun as possible. These activities include, but are not limited to: multiple sleigh rides, a hockey game, snowmobiling, driving around in a snow plow, downhill skiing, and snowshoeing. Besides killing lots of time in a film that barely surpasses 60 minutes as it is, many of these scenes are meant to be humourous as the kids try to teach their new friend about Canada's winter wonderland. A typical result has Poo Flower gesticulating like crazy as he zooms down the ski hill, screeching away in a voice reminiscent of Droppo's high-pitched babbling. 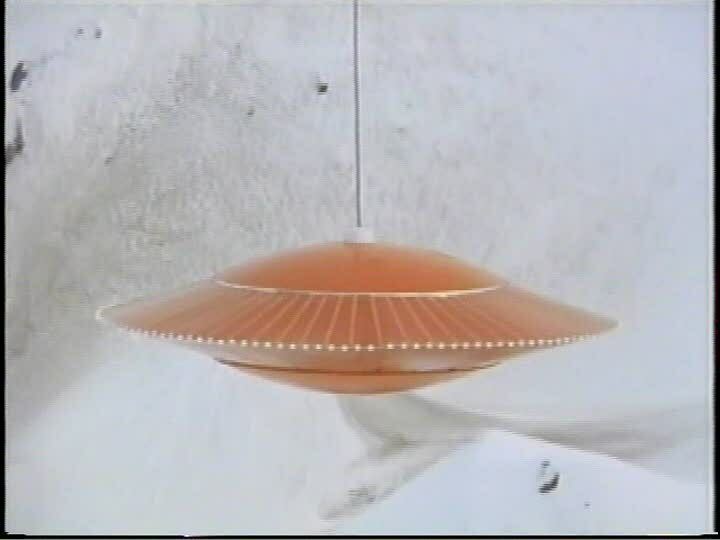 Although the production values are non-existent and the humour may only appeal to the very young, I occasionally enjoyed Le Martien de Noël past it's value as an mind-boggling artifact of Canadian kitsch. First of all, the film looks great even after thirty years. The white walls of the homes and general store strikingly contrast the bland world of the adults with the colourful environment of the kids. This same technique was also employed with great success in Jacob Two Two Meets the Hooded Fang. While Poo Flower starts grating on the nerves about half-way through, the kids, obviously meant as stand-ins for the film's young viewers, thankfully display little in the way of personality. They are pint-size empty conduits for every Canadian child's Christmas wish--to fly around Earth with their very own alien llama. While I could definitely see children getting a kick out of Le Martien de Noël, the film's major stumbling block is, of course, the poorly executed special effects. Children may believe that an immortal, magical fat man can visit billions of homes in one evening, but they sure as hell won't buy Poo Flower's antenna cover-up.